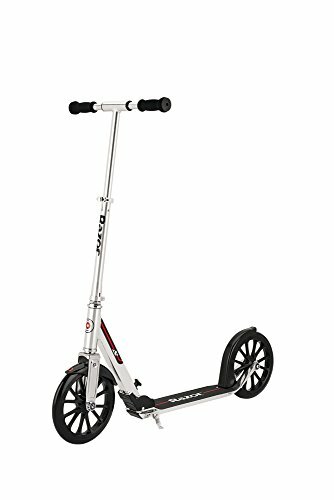 Why do I need a Scooter for College? Are scooters allowed on Campus? Now we know what you’re thinking, a scooter for college? Why don’t you allow us to set the scene for you first before you come to any verdicts: you’ve woken up, you look to your alarm clock and see that you are going to be late for a lecture, what do you do now? Well, you could rush to get yourself sorted in time, but depending on the length of your morning routine, this will still leave you with less time to get over to the location itself! So what do you do now? You could call in sick, or better yet, get yourself a scooter and stop making excuses! Scooters aren’t exclusive to kids or teenagers, there’s a reason why companies are designing scooters fit for adults. There are plenty of options for you to choose from, although we admit that it can be difficult to know which scooters are the right ones for you personally. In this article here we are going to cover some of the best shooters in the game. Hopefully, you find your fit, and if you find that you’re still left with questions, you might find that our buyers guide covers it. This list is in no particular order! Our first and only Razor scooter included in our list here, the A5 Lux is one that is made from strong aluminum tubes and deck, which should provide support over the firmest of terrain. We should point out that the materials used in the production of this model are the same used in aircraft grade vehicles. Controlling speed is where this scooter shines, as the patented rear-brake has been designed for brake efficiency, allowing you to control your speeds perfectly. 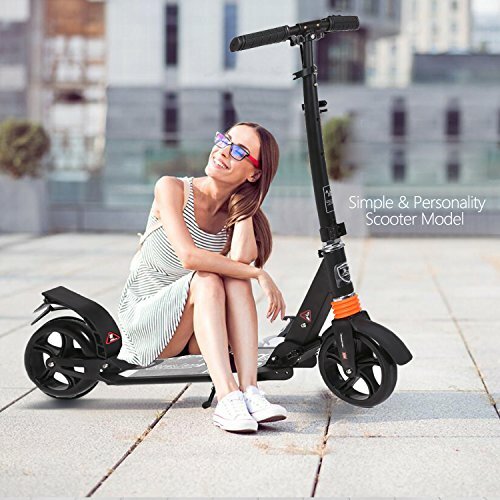 The lightweight frame of this scooter makes it one of the most desirable products on the market today, allowing you to transport it with ease! Why We Liked It – Razor is one of the more reputable brands for scooters, so they were always going to be included in our list here in some form. The A5 Lux is one of the more proficient products from the company, it’s why we’ve kicked off our list with it. Something a little more portable for you, the HUDORA 205 comes with a shoulder strap that allows you to easily move around with this one without there being too many issues to worry about. Again this is a lightweight option for you, one that comes in a range of different colors, so personal preferences will reign here. 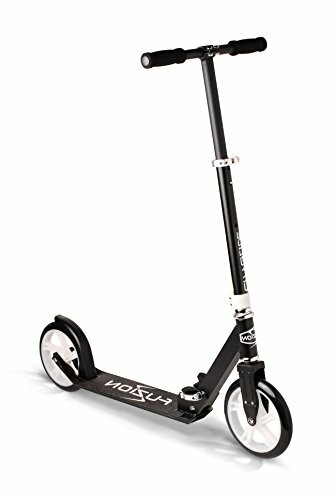 This one is made from aluminum tubing, a very sturdy metal as you’ll come to know from some of the other scooters included in this list. What makes the 205 different to its predecessors is the portability of it, which is something that every avid scooter can get behind. Why We Liked It – There are quite a few HUDORA 205 products to choose from, each are great in their own way, what makes the 205 great is the portability of it, given its lightweight, you can take it just about anywhere. We really enjoyed our time with the Hikole Commuter scooter, simply because of how freeing it felt to ride it, and it’s folding technology that made it very simple to slide in and out of its multiple forms. The stylish design of this scooter makes it very pleasing on the eyes, which is where most will purchase this one. We think you’ll be happy with this one in general, but the look definitely helps. A great feature for this commuter scooter is the ability to have it stand on its own akin to a bike with the use of a small leg that can be pushed down. It’s the little things about this scooter that really highlight the benefits of riding around on this scooter. Why We Liked It – The design of this scooter really did it for us, so if you are looking to purchase something with flair, then you should be wanting to check out the Hikole Commuter, it’s also very comfortable to ride. When scooters call themselves ‘commuter scooters’ they mean it, the Razor A6 is a commuter scooter through and through, allowing you to travel many distances with little wear and tear to the performance of riding it outright. Military grade aluminum tubing can be found in this one, the deck is also made from this material which will make for a very safe and sturdy ride. The retractable kickstand will very rarely jam when making this scooter portable, which is never a bad thing as this is known to be quite an issue amongst other scooter enthusiasts. The wheels of this scooter have been optimized so that you can cross various forms of terrain with minimal limitations! Why We Liked It – The Razor A6 is one of if not the better commuter scooter in our list here, simply put, if you are going to be traveling large distances in order to get somewhere, then you will want something sturdy and durable, the A6 provides that. Cityglide is its name and glides it will! Fuzion comes in at the number five spot, coming out with one of the easier scooters to ride. The lightweight aluminum frame makes for a very sturdy and enjoyable ride. The hi-speed wheels are oversized for a good reason, this is to allow for more traction on the ground as you ride, which will see you getting more from your pushes when on the scooter. The large brake found at the rear of the scooter does a great job in keeping you in control of every ride. This one is available in multiple color options which is always great, the colors used here are a little bright, which could work for you? Why We Liked It – We enjoyed this one for the support it gave us when out on this one. The oversized wheel definitely helps when you’re moving through city environments, definitely one for those who like to whir around places. Fast 88 are one of the more known names within the adult scooter market and with good reason! 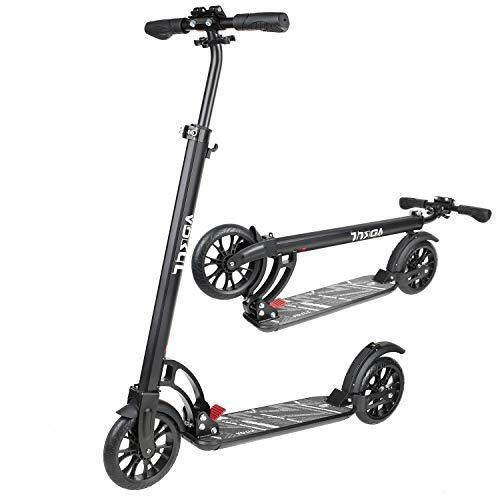 The easy-folding aspect of this scooter makes it very simple to transport, which means you can take it with you to lectures and have it sit between your feet. This one is a little heavier than some of the other scooters included here, but this is purposeful to allow for a much safer ride. The Fast 88 has been designed so that you can travel fast speeds (as the name of the company suggests). The oversized wheels allow you to pick up speeds a lot simpler. The highlights of this scooter come via the easy folding system that it alludes to in the name. You can fold this one down in only three-seconds! Why We Liked It – We enjoyed the ability to quickly take this one from a riding position to a carrying position a lot. If you are in a hurry, then this one has a lot of characteristics that people will enjoy! Razor is back again! The A5 Air is one that comes with strong aluminum frames and anti-rattle handlebars which is a great addition as it will mean that your rides are a sturdy one. These handlebars can be set to a height you are comfortable with very easily, from here you will be ready to go! The soft rubber grips only add to the list of highlights of this one too, prodding excellent support. The slick black design is very pleasing to look at, and given the comfort of riding this one, we think it’s safe to say that this one comes with a lot of highlights. 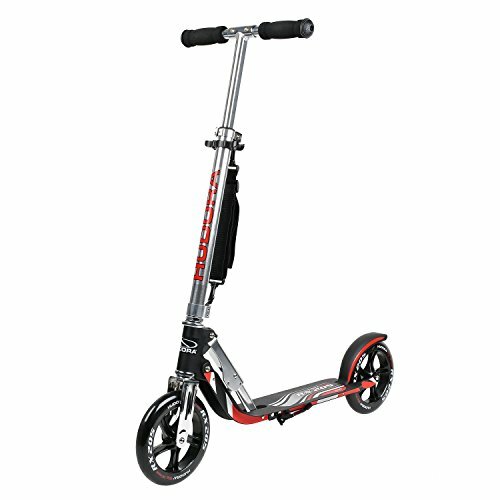 Aluminum is used in the frame and bars of this scooter, so you know it’s durable. Why We Liked It – The support we were given when testing this scooter out is phenomenal. Riding this scooter feels effortless, which is what you need. The black design of this one is very nice to look at too. MONODEAL have quite a few products out in the market presently, but their best product hands down is the MONODEAL Adjustable scooter, simply because of the number of options you are given from the jump. There is a lot you can adjust to this scooter, which includes the height of the handlebars as well as the positioning of the grips too. High density reinforced aluminum makes this scooter very durable also. The low deck clearance makes for a very simple ride indeed, allowing you to step on and off with the greatest of ease. You’ll not find a more durable scooter on the market right now than this one. The rear brake on the scooter is very responsive to your ride also. Why We Liked It – The options are seemingly endless with this scooter, which is why we are so happy to include it in our list here. Looking for a simple yet effective ride? Then this one should tick a lot of boxes. VOKUL come in at the number nine spot with the VOKUL One scooter, a scooter that comes with a lot of benefits. 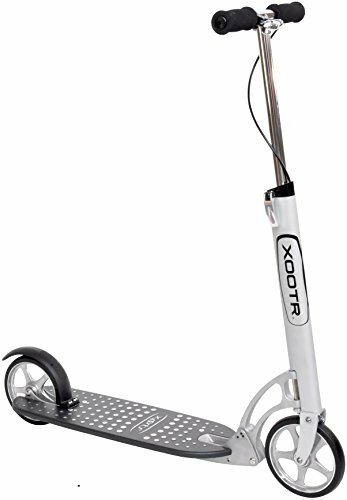 Aircraft-grade aluminum is used in the construction of this scooter, which not only makes for a more efficient feel but a durable one that will see you traverse varying forms of terrain. Urethane wheels greatly reduce the amount of vibrations/bumps you might experience when out on this scooter outright. This scooter promises a second in order to snap it from a folded position to an upright one, which does make it very useful to carry. 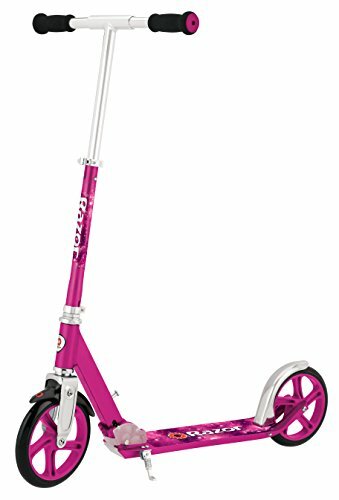 This kick scooter comes with high performing large wheels that will only add to your rides, making them rather effortless actually! Why We Liked It – We liked the simplicity in this scooter a lot. The fact that you can just snap and go in just a second is a very good feature if you ask us, one that will no doubt make rides a lot easier. 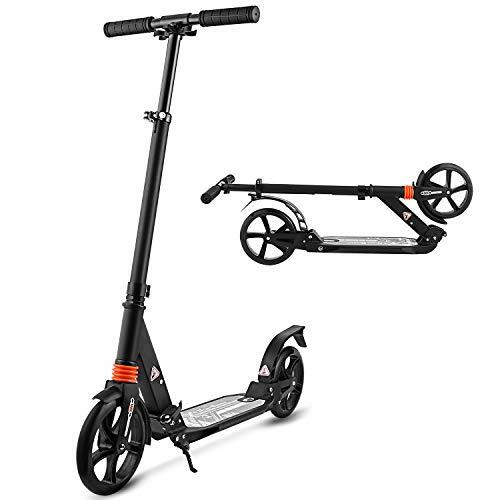 The final scooter included in our list is the ZOOTR QuickCluck, one that comes with optimal folding capabilities. The latch found in this scooter is very sturdy, which allows one to snap in and out of the different settings of this one! The large polyurethane wheels make for an ultrafast glide with barely any resistance from the ground itself. This scooter comes with two brakes, one fitted at the front and one fitted at the back of the scooter. These scooters are assembled by hand, which guarantees quality with every purchase made. We noticed that this scooter is incredibly responsive to all of our physical inputs, which is always going to help you when out on the road for real. Why We Liked It – We really enjoyed this scooter for its simple approach to the design. The fact that you can quickly ride this one is always going to be positive for us. The deck of this one is quite wide too which makes it very simple to ride. The bonus buys here is a very useful piece of kit to have in your possession if you are planning on purchasing a scooter for yourself. The YYST shoulder strap makes it very easy for one to move around with your scooter, so much so that we’d even go as far as to say that you should never leave home without it. This is a universal strap that will find its way around any scooter you place it over, perfect for smaller foldable bikes too. This is very easy to use a piece of kit, one that folds itself perfectly when not in use. The strap is essentially weightless which means you can take it anywhere you like and use it. The straps go over the wheels as it sits on your shoulder. 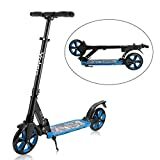 Why We Liked It – If you are going to purchase a scooter of some kind to use on campus, then you should be investing in a strap of some kind, there’s no reason not too, as the benefits of this one make it simple to move around with your scooter. In this section, we are just going to cover a few basics, such as what to look out for when purchasing a scooter of your own! The first step one should take before looking at these sorts of products is how well it is going to fit you in particular. 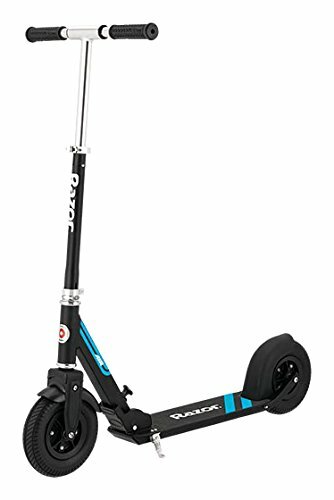 For example, if you are someone taller than the average person, then you should be looking for a scooter that comes with adjustable handles, this will take a lot of pressure off of your back, as the further down the handlebars, the more hunched over you become as a result. Weight could be considered an issue here also. Every scooter you see on this list comes with a maximum capacity. Although these scooters are made from reinforced aluminum, that does not then mean that they are indestructible. Those of you out there who are over 220 pounds might want to look for an alternate mode of transport. Most of the scooters seen in the list do come with warranties, which can be useful to you if you aren’t happy with your purchase, or have found an alternative method to get you to lectures. 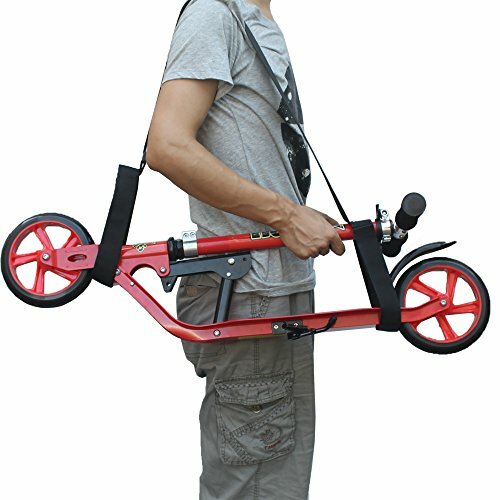 Scooters are made from very strong materials and can be transported rather easily using a shoulder strap, but we understand if this is not for you; unfortunately, there is still a stigma that scooters are for children; hopefully, you see past that and make a decision for yourself and your own situation. If you are going to purchase a scooter to use at college, then you are going to need the right sort of kit to help you transport the scooter itself. We would recommend you heed our advice from the bonus buy section in our list above. Shoulder straps are a very useful way of transporting your scooter of choice. These items are relatively cheap, which means there should be no excuses as to why you don’t own one yourself. How they work is pretty simple: two loops are there to be placed over the front and back end of a folded-up scooter. The larger strap can then be placed over whichever shoulder you are comfortable with using. All that’s left to do is the carrying of the scooter which will vary in difficulty depending on your strength and the weight of your scooter. Short answer: scooters are a very cost-effective method for getting places rather quickly. Public transport can be costly, and runs on its own time, whereas snapping a scooter into a riding position and just leaving whenever you like, allows you to be better at time management. We find that riding a scooter is a lot safer than saying riding a bicycle, especially when it comes to college campuses which are normally full of crowds, and navigating between individuals can be quite difficult when on a bike rather than a scooter. 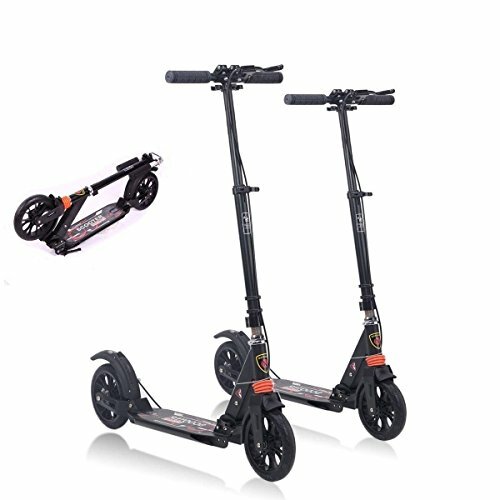 On a scooter, you have a lot more balance, and can, therefore, maneuver around certain spaces a lot more effectively, and should you be moving too fast, you can easily hop off of it with little worry about hurting yourself. Unlike bikes, scooters can be brought into lecture halls and set aside rather easily given their ability to fold and be placed in relatively small spaces, bikes would need to be tethered outside somewhere while you are in class. This will depend entirely on the campus itself. Scooters are sometimes grouped in with skateboards in that they are banned as most will use the environments of the campus as a playground. You should read up on your college directory or speak with someone in the college if you are unsure about whether or not scooters are banned, we’d like to think that they aren’t, but again this depends on the campus. When using a scooter you are doing something physical, yes, all you are doing is pushing off with one foot and keeping your balance with your other and your arms, but you are still inputting physical stimuli to your efforts. You’ll find that your route might not be on the straightest path either, causing you to navigate steep locations in order to get where you need to go. Any form of activity that will get your heart racing is good, which is why we’d recommend you get a scooter and start feeling the wind against your face. We’ve already covered this in a question above, but you will find that navigating your way around campus is a lot easier given the lightweight frame of the scooter and its size. Bikes are useful and are faster, but scooters are a lot more manageable when it comes to moving between crowds, which could make the difference between a late registration and being on time. Make a decision based on your own situation, and you’ll never look back.